These dainty little teardrop earrings are just the thing for your favorite gal! Perfect to accompany a t-shirt, sweater or dress. 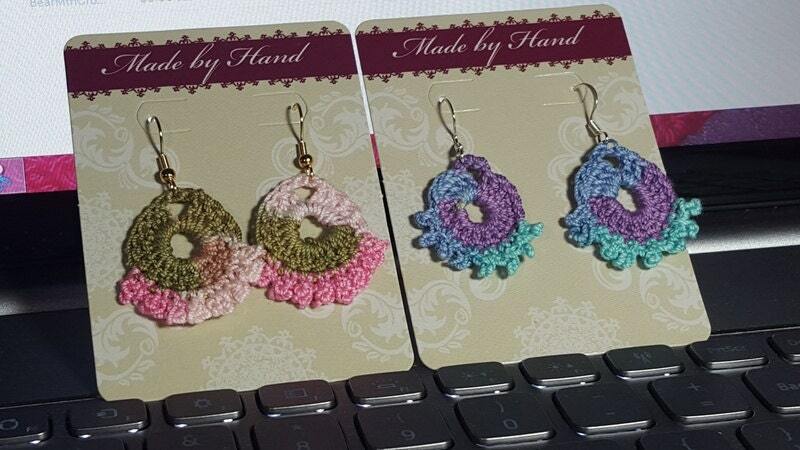 Shown are beautiful pink, green and brown OR shades of powder blue, lavendar and mint green. You'll certainly want a pair for yourself and one for a friend. Measuring 1" and feather light, these can be made with either gold or silver findings. Be sure and specify when ordering. Love the earrings, but want a different color? I can create almost any color of your choosing - Just ask!